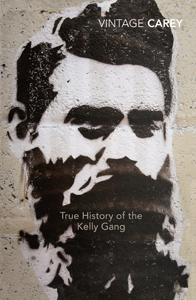 In True History of the Kelly Gang, the legendary Ned Kelly speaks for himself, scribbling his narrative on errant scraps of paper in semi-literate but magically descriptive prose as he flees from the police. To his pursuers, Kelly is nothing but a monstrous criminal, a thief and a murderer. To his own people, the lowly class of ordinary Australians, the bushranger is a hero, defying the authority of the English to direct their lives. Indentured by his bootlegger mother to a famous horse thief (who was also her lover), Ned saw his first prison cell at 15 and by the age of 26 had become the most wanted man in the wild colony of Victoria, taking over whole towns and defying the law until he was finally captured and hanged. Here is a classic outlaw tale, made alive by the skill of a great novelist. Peter Carey is the multi-award-winning author of eight novels, plus two highly acclaimed collections of short stories and a memoir, Wrong About Japan. His books have won or been shortlisted for every major literary award in Australia. He has won the Booker Prize twice – in 2001 for True History of the Kelly Gang and in 1988 for Oscar And Lucinda. In 1998 he won the Commonwealth Writers Prize for Jack Maggs, and again in 2001 for True History of the Kelly Gang. In 2007 he won the NSW Premier’s Award and the Victorian Premier’s Award for Theft: A Love Story. Born in Bacchus Marsh, Victoria, Peter Carey now lives in New York.